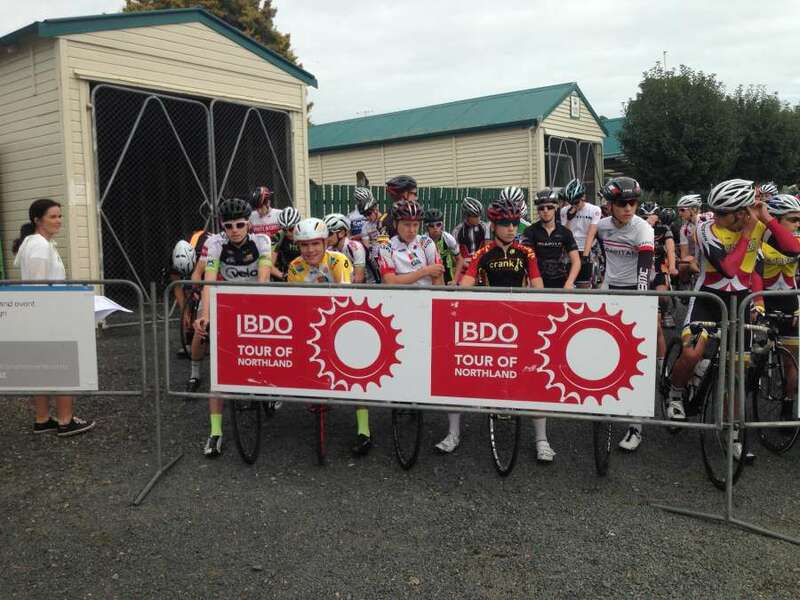 A small contingent of southland riders took on the 2015 edition of the Te Awamutu Junior Tour. Under 17 riders Corbin Strong, Sam Miller and Hamish Keast along with under 19 riders Hayden Strong and Tom Sexton. 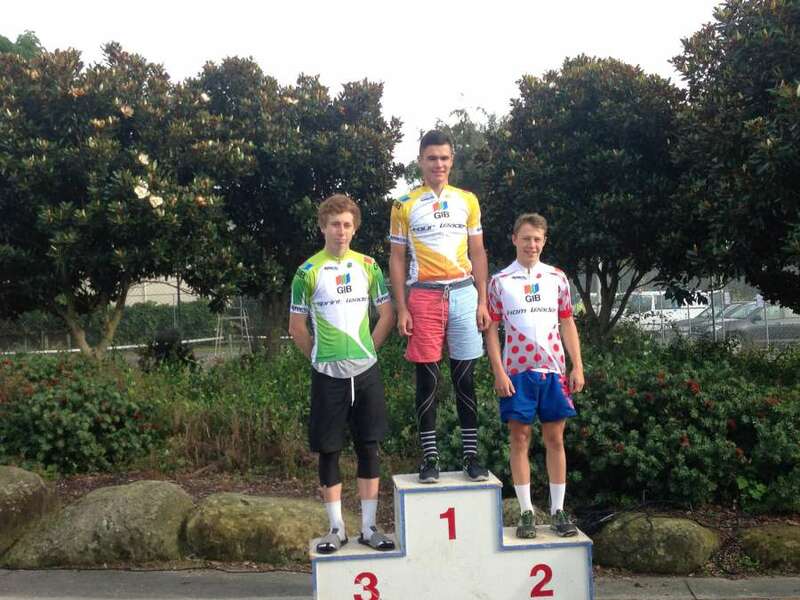 After the stage 1 u17 TT we had Hamish 2nd, Corbin 5th and Sam 6th on GC. The U19 boys had a 110km stage 1. Hayden Strong made his intentions clear after taking out the first 2 of 4 hill climbs then a second and third to finish the day with an 8 point lead over the next rider. A bunch of 60 odd riders had been dwindled down to round 20 by the halfway stage and a bunch of 13 at the sprint finish. Tom and Hayden taking 4th and 5th respectively. The under U17 boys then had a 54km road stage to finish day 1. As with the under 19s the boys were prominent at the front of the field with Corbin taking out the 2 hill climbs and Sam picking up 2 sprint points. With the field split in half there were 25 riders left to contest the sprint. Hamish 3rd, Corbin 5th and Sam 8th. Hamish's 3rd good enough to put him in yellow with Corbin 5th and Sam 6th on GC. Day 2. The U19's started with the TT. Tom 6th (6 GC) Hayden 9th (8th GC). The U17s had one 88km stage today. 3 laps of a hilly circuit with 3 sprints and 3 hill climbs. Corbin claimed the first 2 hill climbs to secure the KOM jersey. The tough circuit took it toll on Hamish and he lost contact with lead bunch, which by the halfway stage was down to 12 riders. The sprint finish saw Sam take 3rd and Corbin 8th to finish 5th and 4th on GC respectively. The U19s had a single lap 88km stage to finish off with. Tom picked up 3 sprint points to go with his 1 from day 1 to finish 4th in the sprint jersey. Hayden missed a break of 4 riders that took out the first - and turned out only - hill climb but had enough points from day 1 to secure the KOM jersey. About 32 riders contested the sprint finish with Tom 4th and Hayden 9th. Resulting in GC placing of 6th and 8th respectively. All in all a very successful weekend and all looking forward to club road national starting Thursday.